mz3Viewer is available for WIndows 10 and MAC OSx. mz3Viewer “digests” mz3z- ot the original mz3-files and presents based on that information and data the respective Mz3 Book. 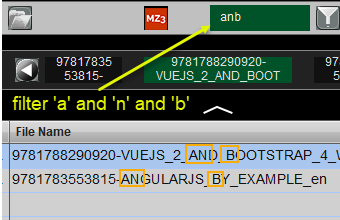 mz3Viewer offers the full functionality of the “deprecated” Flash version; and more! No Browser or Flash-Extension or Plugins is needed! SWF-Files support text in vector format, which makes them an ideal choice for all text-heavy papers!. SWF file sizes usually are smaller than converted “Page Images” in JPG or PNG format. Even the smallest Text can be scaled to any size without loss of quality; no pixels become visible. Another advantage: The search feature can be used and any key found will be marked on pages. That’s impossible with pure JPG or PNG files! 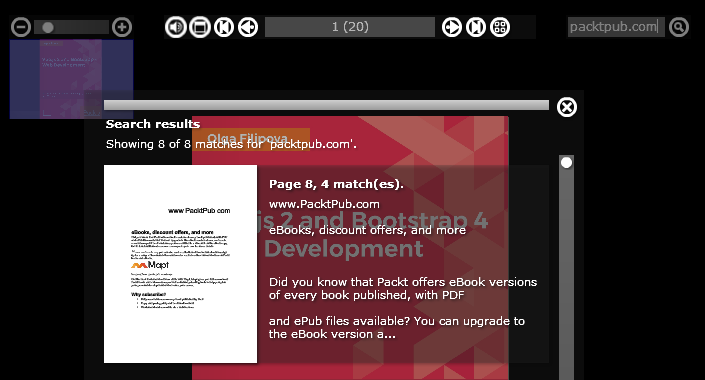 The Slideshow is a key plugin: Flip the book automatically time-based or controlled with the mouse. A perfect alternative for any Powerpoint Presentation ;-). Parameters like automatic start, time-before-flip, automatic loop and more are available as Book Parameters. A play/pause button is added to the navigationbar to control the book interactively with the mouse. If in mz3Tool the search checkbox in the PDF-Convert-Window” is marked, additionally to the Page Images a text file, the search index file, is generated and the “search” Plugin is added to the plugin list. In case of SWF-files the search feature is available and highlights text found on pages in the book. Something impossible for pages based on image files (JPG, PNG) as page background (page images). We might consider some kind of search functionality in version 2.5.x, but the highlighting of text will not be supported for a while. At least as long only JPG and PNG images are used. In above example, you see on the left the list of pages with an excerpt and on the top right corner the search input field. In the right image, all found text phrases are highlighted, and the “spy-glass-area” in the left top corner of this image indicates a high zoom factor. In “touching” and moving the small blue area, the field of view of the page can be moved. This also demonstrates the perfect text quality of SWF files! Turning the mouse wheel or clicking the up/down keys scales the book up and down. On touch devices also gestures are interpreted. Also, the slider in the spy-glass-area can be used to change the zoom factor. 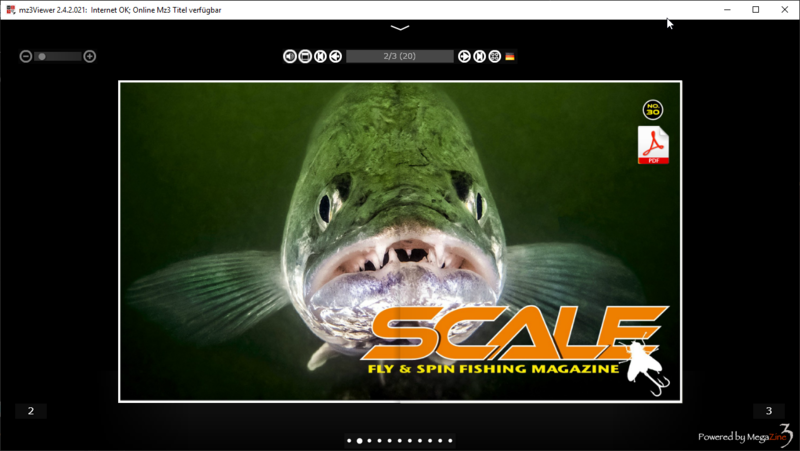 Videos of any size can be arranged on pages. Even several videos may be placed on a page. But to not kill performance this is not recommended. 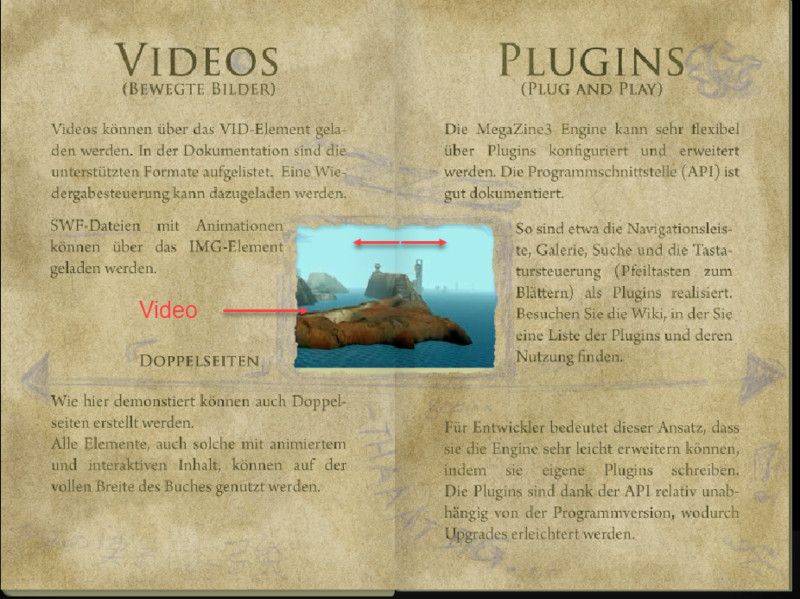 Double pages are supported as well; a video might spread across the folder in the middle of the book. 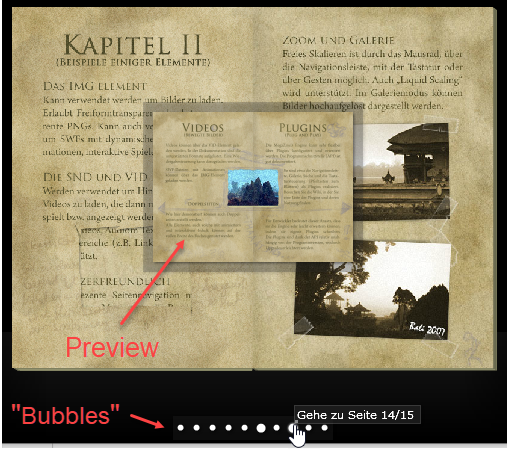 The know bubbles from “FLash times” are supported by mz3Viewer also. All data is located on the local computer; nothing has to be downloaded and no Internet connection is needed. Pages will load much faster compared than in a browser with access to a server over the internet only. 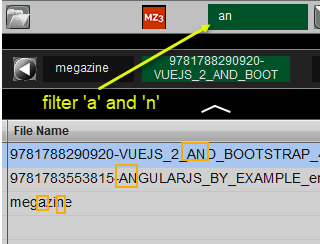 If mz3Viewer is installed on a laptop and some Mz3 Projects are loaded/copied, those books can be viewed “on the road”, even if no internet access is available. All data needed by mz3Viewer is packaged in a ZIP compressed file with the extension .mz3z. This makes it easy publishing an Mz3 Book: One file only has to be shared; e.g. using any Cloud service like Dropbox. Although the extension is named “.mz3z”, it is a pure Zip file. After renaming the extension to .zip the file can be opened with programs like 7Zip or WinZip; or even Windows and Mac OSx. 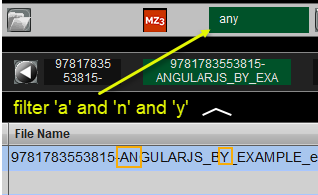 The reasoning behind the “mz3z” extension name: It is easy finding and identifying mz3Viewer files, those mz3z file types are assigned to mz3Viewer and mz3Viewer will start with a double-click on such file. And the mz3Tool – mz3Viewer integration is easier. mz3Viewer extracts and saves the data automatically. mz3Viewer remembers opened Mz3 Books and presents book “neighbors” in the expanded header area. That header area is shown after a click on the button in the middle top of the window. Those other Mz3 Books can be opended via the buttons. 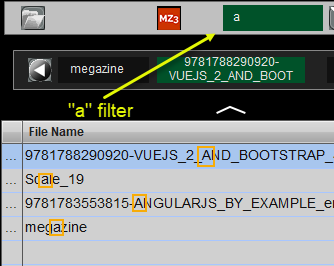 The list button opens a list of all known Mz3 Books..
Each column can be sorted with a click in the header cell of the column. The next click changes the sort direction. With a double-click in a row, the respective book will open. You also can select a row/book first and then open the book with a click on the button. 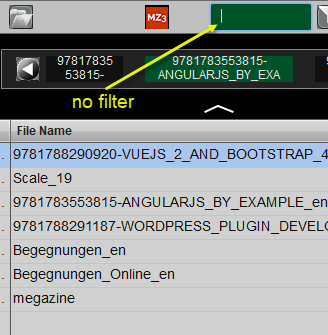 In the top right corner of the list window, a search/filer input field is available. This helps to quickly find a book in a long list of Mz3 Books. It is more like a filter than a search because it looks for “characters in a sequence”; and not only for words. A book is listed if the title name contains the entered characters in the same sequence. Gaps are allowed. The closer the characters are, the more to the top of the list that book is placed. Take out a row (i.e. a book) from the table. That book no longer is selectable and shown. After a restart of mz3Viewer that book is available again (it was not deleted). Deletes the complete package: All data and configuration files. This cannot be undone! In mz3Tool it is possible to Open the actual Mz3 Project in mz3Viewer. Hovering over areas (clickable regions) will highlight that area as configured: with a border and a background color with a defined transparency. 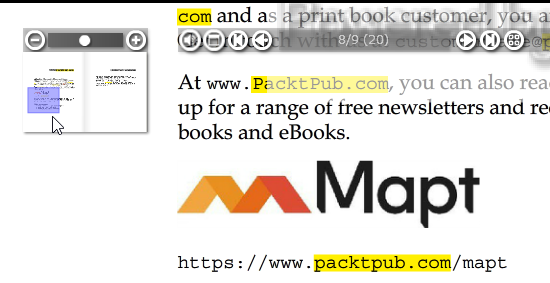 mz3Tool blocks a click on the book edges or a drag of the page. In mz3Viewer all that is supported.